With the recent wave of new malware and spyware begin sold, obtaining a virus is easy. Old files, viruses, bloatware and much more can slow down a new or old computer. A lot of new computers that come from big box retailers come preloaded with an unrealistic amount of bloatware. Not to long ago we got an Asus laptop from a big box retailer. Right out of box turning it on, the Windows was loaded with all sorts of Asus bloatware tools, and independent applications from the big box retailer. Obviously whenever myself or someone I know gets a new computer, the first thing I ALWAYS do is wipe it. Even if its brand new from the store, or used computer from another site, I always wipe it for them. There may be viruses, illegal content, bloatware, or just plain garbage on it. You don’t want to get in trouble for someones old content, or get a new computer and have it harnessing half its power. Below are eight ways to EASILY optimize your computer, new or old. New or old computers may come with preinstalled programs that are unwanted, or may slow down the computer. Remove all nasty unwanted programs by uninstalling them. Programs can be uninstalled via your control pane, or with a program called, CCleaner. CCleaner can uninstall programs seamlessly on Windows, and Mac OSX. Once downloaded go to Tools>Uninstall, and there is a simple uninstall panel. Uninstall all unwanted programs that may harass you or cause issues. Just don’t uninstall any programs you may use, or anything important. Or alternatively, just wipe the computer once received. Burn DBAN onto a disk and wipe the computer. Once wiped, just install your preferred OS and all drivers if needed. 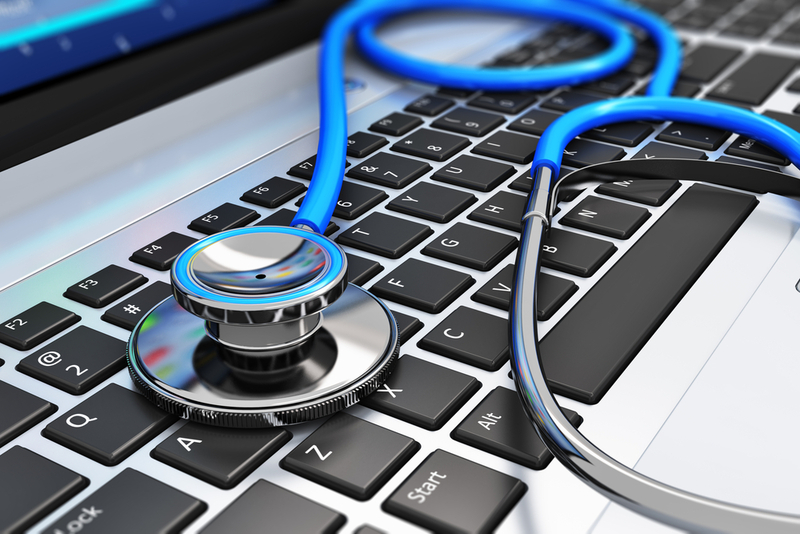 If the computer is older or used, scanning for viruses is essential. Viruses not only slow down the machine, but can be dangerous for your privacy. Make sure you remove all viruses, spyware, and malware. Use programs such as Eset’s online scanner, Malwarebytes, Spybot, and Super Anti Spyware to remove unwanted programs. All of these tools are tools I personally recommend and use. Eset and Malwarebytes are by far the most advanced tools I have used to date. I recommend using Eset as an antivirus if you must use an antivirus at all, read do you really need an antivirus. A fast loading computer is great. When you start your computer a lot of applications may turn on with it, wanted or not. These are called startup applications. Startup applications are horrible, and lead to a major slowdown in computer performance. Once these applications turn on with the computer, they stay on till exiting them, or till the computer is turned off. They may even be running in the background once you “exit” them. To turn off startup applications on Mac and Windows use CCleaner. CCleaner has a simple option to enable, or disable startup applications. Once installed, navigate to Tools>Startup. Once there disable all unwated and unneeded applications. You may want to disable things such as, application startups, and various other programs. Just leave items like DropBox, or other cloud storage providers on startup. That way all your data will stay synced. But disabling startup applications will decrease load time, and make your computer MUCH faster. Computers hold onto unneeded files for long amounts of time. These files can lead to problems with applications, and clogging of data on the computer. Some files are completely useless and are just there. To remove these unwanted bloating files, again use CCleaner. Use the cleaner to clean off Temporary files, clipboard, memory dumps, and many other bloating files. My personal settings are to delete everything, except anything in the advanced tab. This will clean off most unneeded files that may be causing memory clogs, or decreased performance. A browser can enhance not only the speed of your computing experience, but can keep your data safe. A browser may not enhance the whole computer, but a lightweight browser can speed up your online web experience. If you want a simple lightweight browser I can recommend Chromium, the open source chrome browser. If you want a browser that is built towards users privacy and security, I personally recommended Mozilla FireFox. If you want a browser that is dedicated to protecting your online identity, Epic Privacy Browser is made for just that. Epic blocks trackers, data collection, third party data, and companies from tracking you. Its built from Chromium, and based on Mozilla FireFox. Mozilla FireFox is my personal preference, then Epic for occasional speedy browsing. Keep all your programs up to date. Programs are made to stop security flaws, and enhance the product. Keep your browser, system, and applications up to date. Always be sure to keep your flash and java up to date. Its a pain, but those are the most vulnerable applications on any system. Updating your applications will give you the latest and greatest performance. Registry files can create issues on a lot of computers. Some computers even boot up with registry problems or by scanning the registry by default. The default registry scanner and “fixer” for Windows is horrible. It doesn’t do its job, and just leaves most files broken. CCleaner will clean up the registry perfectly. Download CCleaner, and navigate to the Registry tab on the side. Click Scan for Issues. On the first scan there can be anywhere from 3 problems, to 900+ problems. Don’t worry, just click Fix selected issue. Then when it asks to make a a backup, click yes. Then click Fix all selected issues. Keep scanning and fixing all the registry files till all are completely fixed. It may take numerous scans. Also, use this tool daily, weekly, or monthly. Fixing the registry only improves your computer. Many registry issues may arise daily, or after updates. Don’t worry, just keeping fixing the issues and your computer should stay optimized. Every once and a while reboot, or restart your computer. Even if it takes a long time to boot up, your computer may need a rest. I recommend rebooting, or leaving your computer off for a few hours every 3 days. After 3 days turn your computer off and go to sleep. Or restart the computer when you have time. Continues wear and tear on the computer is tedious on the hardware. Letting the hardware rest, or reset can improve performance greatly. Exhausting the computer can make it use resources its not even meant to be using. A quick reboot, or shut down can vastly improve performance. Its very simple and seamless to optimize and clean up a computer these days. There are some more tips such as defragging the hard drive (DO NOT DEFRAG AN SSD), and other little things. But they do not vastly improve speed, or stability. Optomize your computer, or any computer with these tips. Learn 8 ways to secure yourself online here!